My leg muscles still ache as I type. I don’t think I’ve been this sore for quite some time but it was all for a good reason. I’ve just returned from a ski break in Sun Valley, happy to take advantage of the hospitality of our good friends who shared their home with us for a few days. Having mainly skied in Colorado and Utah previously, Idaho was a first for me and my husband and we were blessed with perfect ski conditions the entire week. 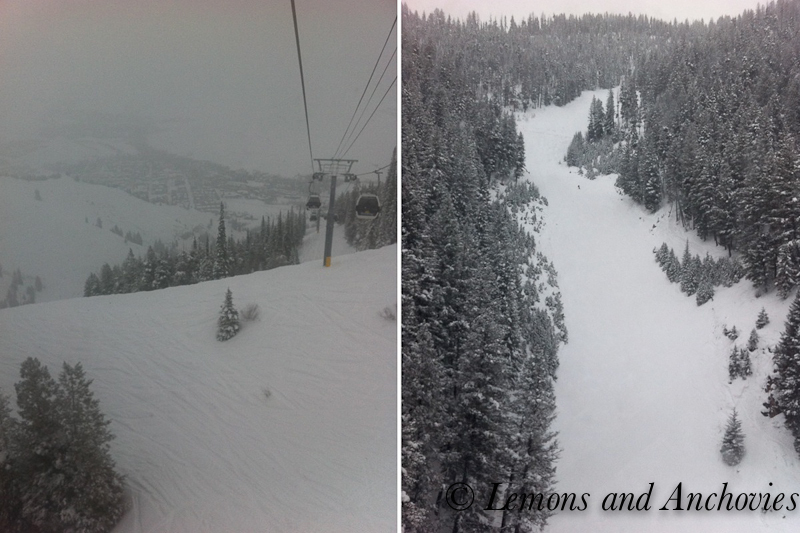 It snowed before our arrival and throughout our first ski day last Thursday. Fresh powder? Check. No crowds? Check. Great company? Check, check, check! The only drawback from this mini vacation was returning a bit more tired than before I left for it but it’s par for the course when your husband and friends happen to be excellent skiers and you spend the whole time trying to keep up with them. I took a blog break and left my heavy camera behind but I snapped shots of the scenery with my iphone so I can share them with you here. And though I skipped taking pictures of our food on this trip, I will say that there’s no shortage of good dining options in Sun Valley. From Ciro to Sego then to Globus and the countless lively bars around the town of Ketchum, my friends and I ate well. But by the time we arrived home last night, my thoughts still lingering on the cold, snowy last few days, I had only one thing on my mind: Comfort food. 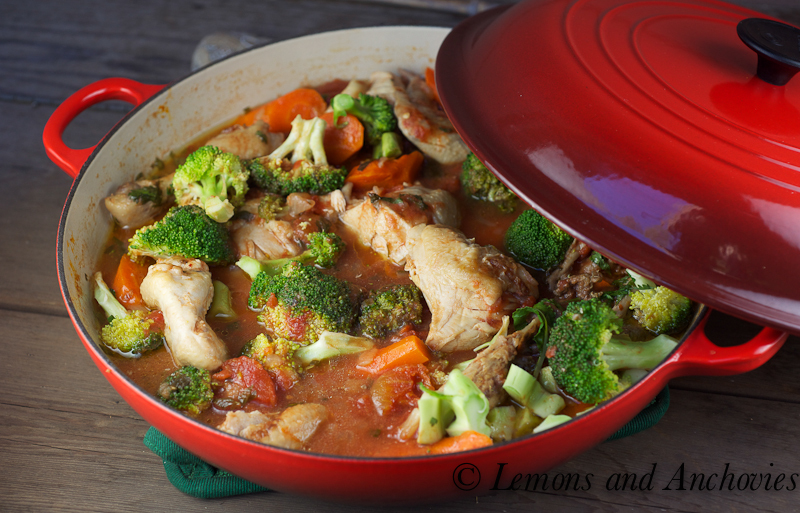 For me, chicken stew was the only thing that would satisfy the comfort food craving. I’ve shared with you my favorite chicken stew here. Incidentally, my mother’s chicken asado is the #2 most popular dish on this blog. I’ve received numerous email messages saying that you’ve tried this stew and have enjoyed it. Thanks so much for this. It makes me happy that you also like one of my all-time favorite dishes. 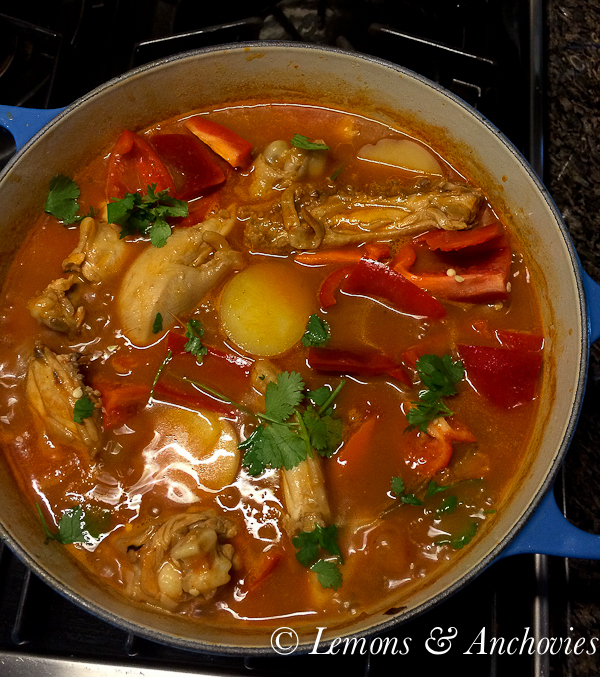 If you like my mom’s chicken asado, you might also like chicken afritada, another popular Filipino stew. 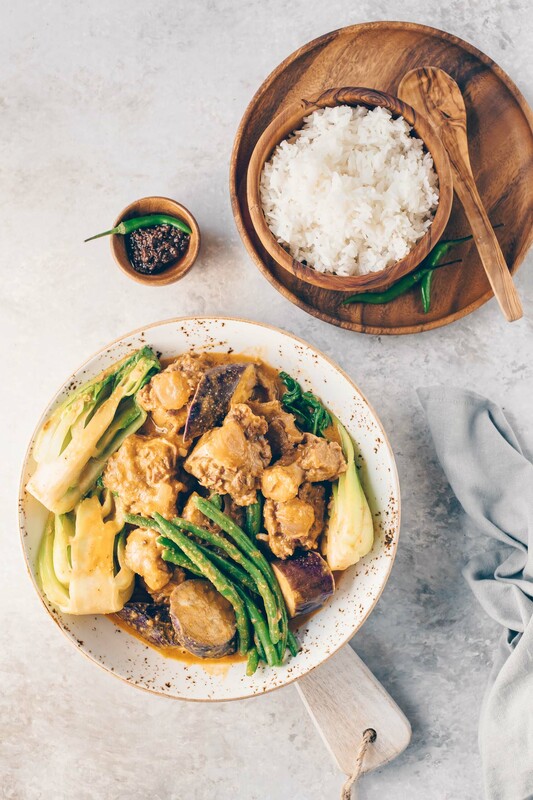 Both dishes trace their roots back to Spanish origins but over time (say 300 years) each has evolved with its own Asian twist. 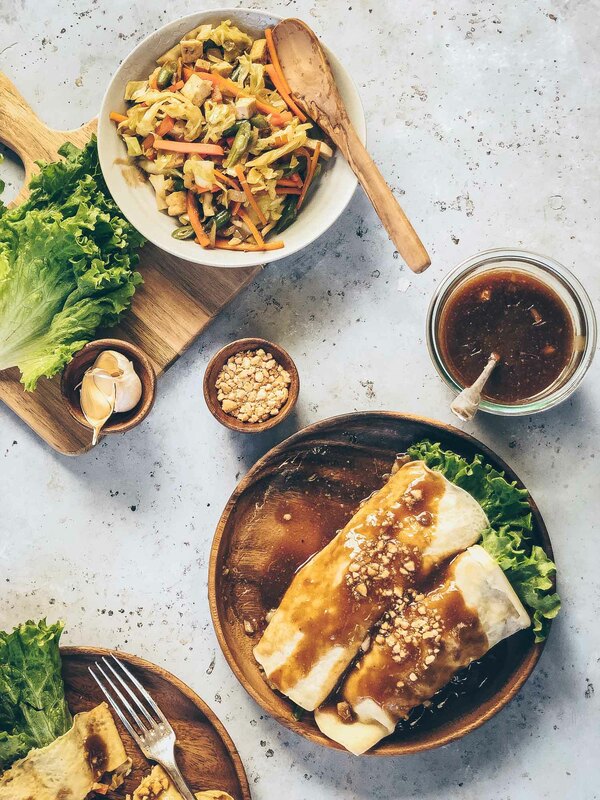 Asado uses soy sauce to give it flavor while afritada uses fish sauce. Besides this, they look almost exactly alike and both are often “extended” to feed more people with the addition of potatoes (though both are almost always eaten with rice). However, just changing one ingredient is enough to give these two dishes their own personality. I’ve taken to adding cilantro to my afritada (I learned this from my sister) for a burst of color and freshness. I’ve also upped the the nutrition factor by adding carrots and broccoli to it but the essence of the dish remains unchanged. 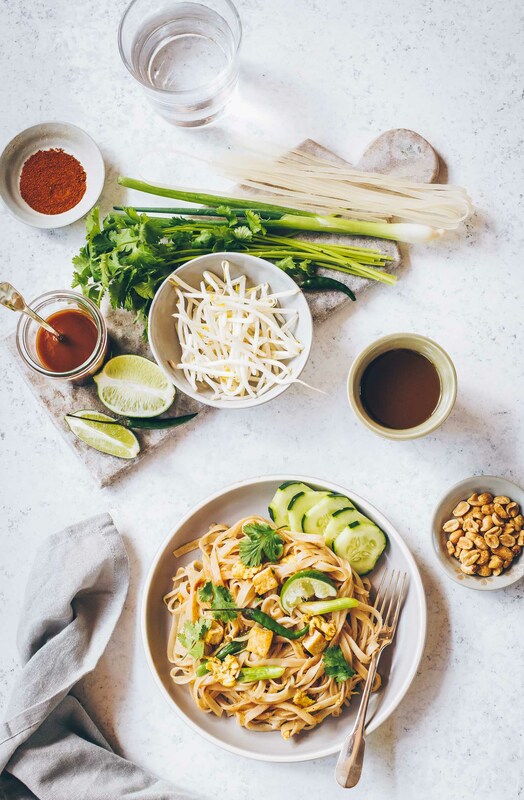 The rich tomato base is made just a tad sweeter by the vegetables and the fish sauce (remember it doesn’t taste fishy) enhances the long-simmered, deep flavor we all expect from a good stew. When I prepare afritada for friends, it doesn’t last very long. So if you like my asado, you might like this, too. A classic chicken stew never fails to satisfy. Start by heating a few tablespoons of olive oil over medium-high heat. Add the rinsed chicken pieces to the pot and very lightly brown the sides over medium to medium-high heat (just 2-3 minutes per side). This lends additional flavor and keeps the chicken from falling apart while they cook. Sprinkle a little kosher salt on the chicken pieces as they brown. Add the chopped onion and cook for another 2-3 minutes. If you want the onions to brown a little for more flavor, remove the chicken pieces after browning them and add them back once you have a little caramelization on the onions, about 3-4 minutes. Add the fish sauce then the bay leaf, diced tomatoes and tomato sauce. Stir all together then cover the pot and simmer for 15-20 minutes. Add the potatoes and carrots (and broccoli if using) and stir them into the stew to allow the liquid to soften them. Taste the sauce and add a bit more salt or fish sauce if you feel it needs it. The sauce will look watered down but this is okay. The remaining cooking time and the veggies will build more flavor. Cook for another 20 minutes, stirring in the cilantro and bell peppers about 10 minutes before you turn off the heat. Serve warm with rice, bread or pasta. Welcome back! Sounds like a wonderful vacay, but I can relate to feeling tired after trying to keep-up with others. Skiing for me has definitely taken a back seat and honestly, I think my last trip down the slope three years ago might have been the last time I ever ski. I know, never say never, right? Your stew looks great and I love how you added extra veggies. I haven’t tried your asado, but will need to add that to my list of “to cook” in addition to this afritada. Cheers! What lovely photos! I love your twist on afritada. I always welcome the addition of vegetables. It gives the sauce a more balanced taste and completes the meal, so i don’t need to cook a separate vegetable dish. My mom always cooks fish afritada and I was surprised to know that most people cook it with meat. I am so jealous! What a wonderful time – and perfect dish to replenish. Wow what great pictures first off! I am so jealous of where you went to Ski, that is amazing…I am a snowboarder myself so that looks like so much fun to me. The chicken stew just looks like the perfect ending to a perfect day on the slopes, yum! Welcome back! I was never a ski enthusiast. I’d rather look at beautiful powdery white snow that be in it but your post is very enticing, Jean. More so if there’s chicken afritada after the trip to the slopes. 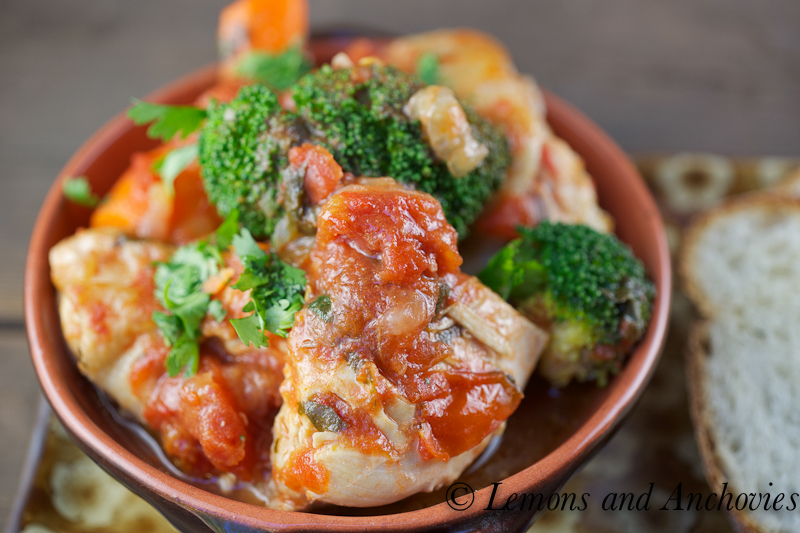 Either with rice or biscuits, chicken afritada is one of my favorite comforting stews! And by the way, my mom seasons hers with fish sauce, too. Just isn’t the same without it! Idaho? That sounds like so much fun! I snowboard only in Mammoth right now, because i have a season pass there. But in the past I’ve been to tahoe several times, and grew up in Big Bear. I’ve also been to Utah a couple times… but that’s the only out of state place I’ve been to. I’d really like to go to Jackson Hole sometime – or out of the country like you have. I think that’s so awesome that you’ve travelled to so many different places to go skiing! A few years ago I was trying to put together a trip to Chile to go snowboarding there but couldn’t find anyone to go with me. Roxan, Utah is a great place to ski. Deer Valley is my favorite resort there but since you snowboard, you might like Park City. Is that where you went? Either way, lots of good skiing there. I’d like to try Jackson Hole, too, one of these days. How lovely! I’m glad you got a lil getaway and put blogging on the back burner. It’s always nice to come back refreshed. Home cooked dishes from our mothers are the best and after being away from home on vacation I always crave the simplest home cooking. Lovely dish and photos. I love pictures like this. It always makes me want to curl up under my big throw and sip hot coffee and watch LMN all day. And then have chicken stew for dinner:) Looks amazing! You made me smile. My first ski trip with my (now) husband didn’t start out so well. I was a beginner at the time. Three days of professional lessons saved the trip and our relationship, LOL! Well isn’t that just delicious looking! I just registered for a good pot like that so I can make dishes just like this 🙂 Oh and those skiing photos?? Beautiful! This looks amazing! I think I could go for a stew like this about now. 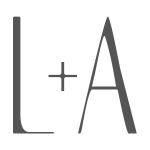 I have a blog too http://kitchensojourn.blogpot.com .I would be really happy if you follow it ! Oh, I love skiing! I love coming in from the slopes and drinking hot chocolate and cozy sandwiches…but I’d rather have this fritada! haha, thanks for the reminder of good winter times! 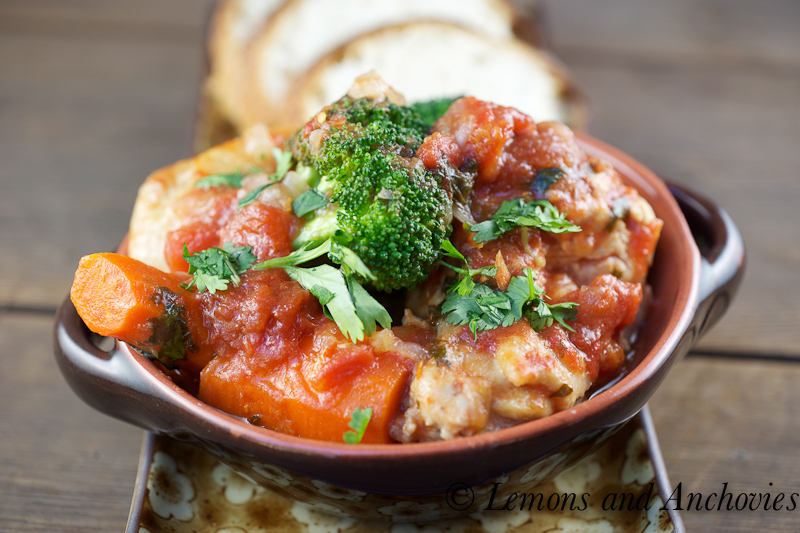 I could use a good chicky stew like this, looks just the thing for a ski trip! Good for you for taking such a cool ski week! And it’s ok to take a break from blogging. If I had the chance to go on holiday for a week now I think I would want to leave everything behind and just have a completely different week! Now, as per the stew: can I have some or do you need to have been on your skies for a week to deserve it? I really would love to have a bowl tonight. Looks like you had fun on your ski trip. Skiing uses a lot of muscles that you never knew you had! The images of your ski trip are so pretty. Gotta love snow-covered mountains! Great looking dinner as well, I love the flavors you used! This stew looks killer! Love all the bright colors and flavors. Can’t wait to try it for myself. Stephanie, it’s weird. The older I get, the more fear I have about injuring myself skiing. There was a time when I would go anywhere my husband would take me. Not so these days. I carefully avoid any black diamond signs. Wouldn’t even dare now, LOL! That looks SO tasty!!!! Love that!! I was thinking of you today…. I can’t tell you how many times I’ve used the mixer that I got from the CSN giveaway that I won. I would never have purchased it if it weren’t for that, so thanks again, Jean! My husband is envious of your skiing! I’m not much of a skier, or cold weather person, and he has not been in two years. Your trip sounds great! Love the chicken stew also, doesn’t seem hard to do and it seems so satisfying. We are big cilantro lovers and would definitely use it to brighten it all up! Kim, it makes me so happy to hear that. I’m so glad that you’re getting so much use out of it. I’ve been really enjoying my hand mixer, too. It took me quite a while to get a nice one. Wow what gorgeous photos! Thank you so much for sharing them. I love how you paired this flavorful and colorful dish with all those beautiful pictures of the snow. 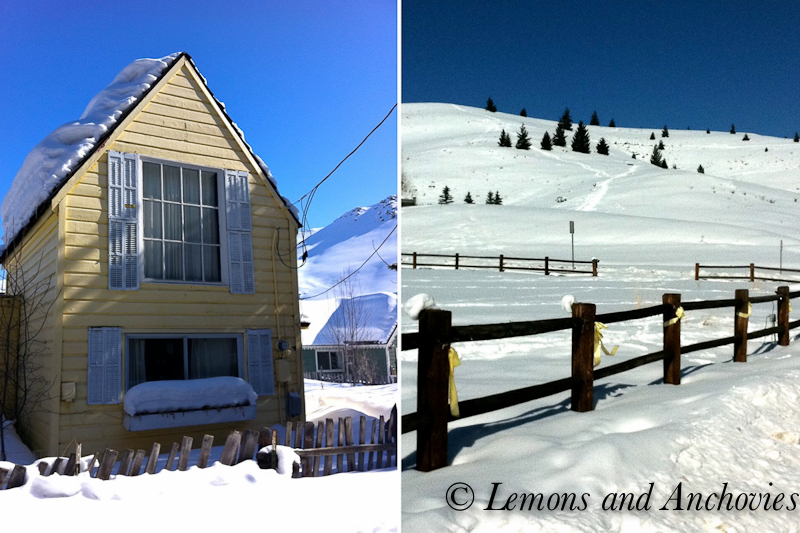 You made me miss my mom’s cooking….and the white landscape of my homestate, Colorado. This looks just delicious, and I’m sure it tastes even better. Thank you for sharing. I hope you have a great Friday…I’m ready for the weekend to be here! Hi Priscilla! The first photo is my favorite, too. 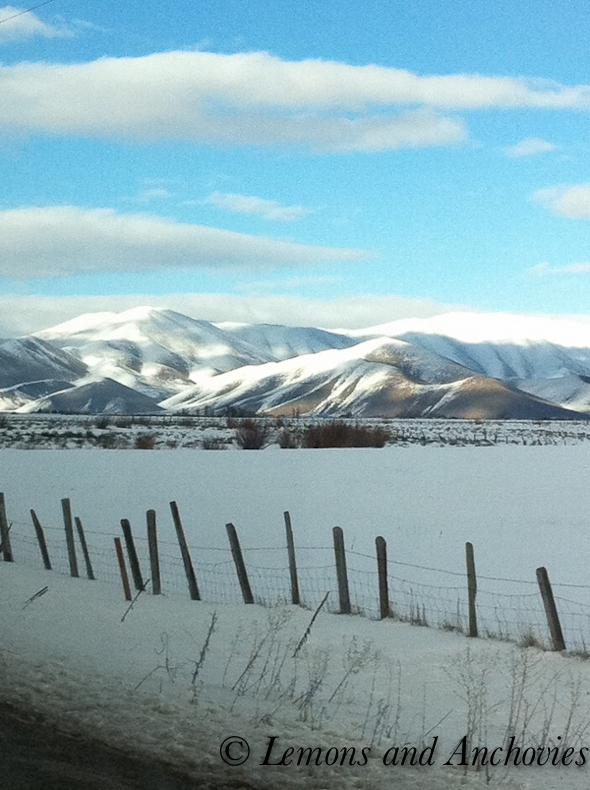 I took the picture w/ my phone while the car was moving en route to Sun Valley (from Boise). I was really surprised at how it turned out. I hope you had a wonderful visit with your daughter. Next time…we’ll have a blogger get-together! your photos are just breath taking! thank you for sharing this:) have a great weekend. Very lovely photos! Thanks for sharing the recipe, I have your recipe cooking right now on the stove top, and it smells HEAVENLY and looks so delicious!! 😀 I didn’t have any fish sauce on hand, however, tried a few dashed of Worcestershire sauce, and it has blended in really nicely! I could have sworn I left a comment on this Afritada! Oh my, I guess my brain was working but my fingers never typed it out. I’ve been thinking of Afritada a lot lately, and made some, too. It’s one of my all time comfort foods. 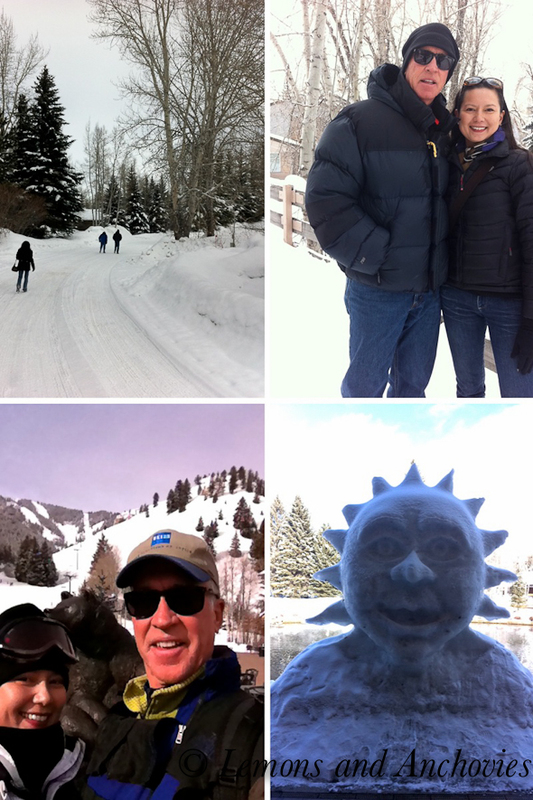 Loved the photos from your ski trip – I lived vicariously through you! It reminds me how we need to get back to the snow (grrr, and use those season passes). What a wonderful dish to come home to especially after all that snow. I am a total wimp when it comes to skiing or anything involving snow but you’ll do look like you both had a great time !